Upgrade to this plush mattress for the quality night sleep you have been craving and deserve. 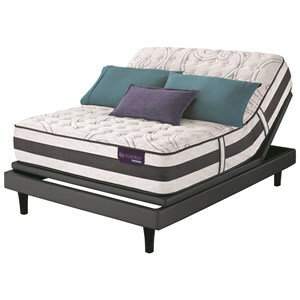 Layer upon layer of comfort gives this mattress the feel as if you are sleeping atop a plush, luscious cloud. One inch of Gel Touch, three layers of one inch of plush comfort foam, and half an inch of energy foam create the perfect luscious sleeping platform that you are bound to love. 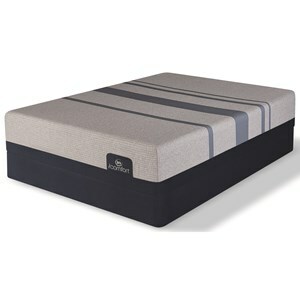 Fall asleep and awaken feeling refreshed and revitalized each and every night with this plush mattress in your home. The BeautySleep Knottingwood King Plush Mattress and Foundation by Simmons at Miller Home in the Punxsutawney, Dubois, West Central PA, Tricounty Area area. Product availability may vary. Contact us for the most current availability on this product. 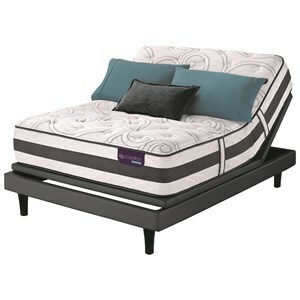 The BeautySleep Knottingwood collection is a great option if you are looking for Mattresses in the Punxsutawney, Dubois, West Central PA, Tricounty Area area. Browse other items in the BeautySleep Knottingwood collection from Miller Home in the Punxsutawney, Dubois, West Central PA, Tricounty Area area.